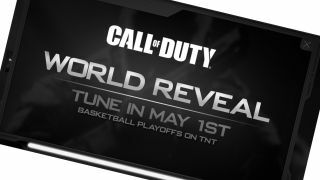 The next edition of the Call Of Duty franchise is set to be announced tonight but its name has already been revealed. A teaser site for the game launched last week with a couple of grainy images and a lot of secrecy but it looks as if Activision's big reveal has been revealed by a number of pre-order cards that have cropped up in the US. The cards show PS3 and Xbox 360 versions of the game, with the title of the new CoD being, unsurprisingly, Call of Duty: Black Ops 2. And Activision's own site has seemingly gone live confirming the name, alongside its Call of Duty: Black Ops 2 trailer that's currently set to private. And when will the game be available in the shops we can almost hear you cry over the pre-loading of guns – the Call of Duty: Black Ops 2 release date has been unmasked as November 13. This was also the date of the ending of the Battle of the Somme in World War I and the birthday of US actor Steve Zahn. Coincidence? Yes, completely. Although there's been much rumour and speculation about the Black Ops 2 setting, not much has been leaked about the game until now. According to CVG the game "propels players into a near future, 21st Century Cold War, where technology and weapons have converged to create a new generation of warfare." Exciting stuff - as long as it's nothing like Men In Black, that is.